B. 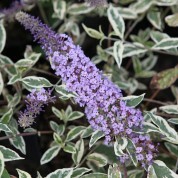 ‘Florence’ is distinguished by its small leaves, grey-green at the centre with large and irregular margin of creamy-yellow, and richly scented light blue/purple coloured flowers. 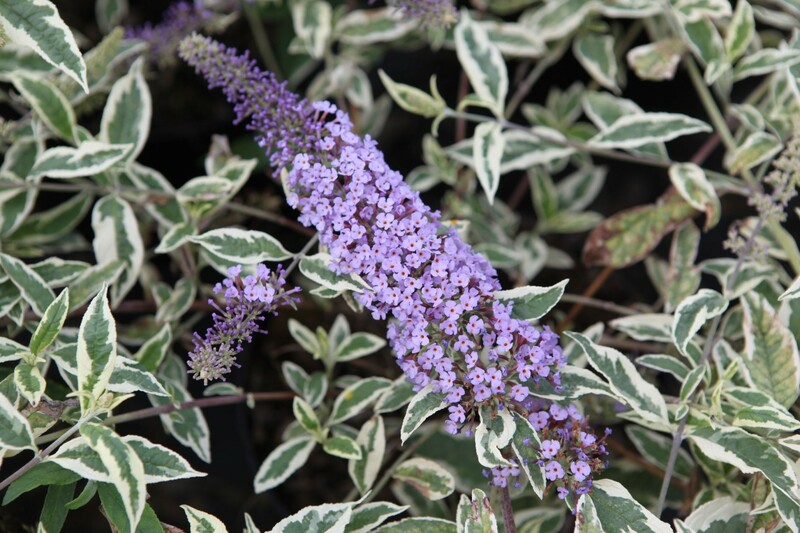 Buddleja davidii ‘Florence’ is a variegated cultivar introduced and registered by the Stone Green Nursery, of Bethersden, Ashford, England.